My Dad and I went to Paducah, Kentucky to visit my daughter May 16 through May 19, 2016. She has just turned 21 at the end of March. Oh, I was so blessed to see her! There is some family stuff that I am not at liberty to share at this point. When I continue my story this piece will be revealed at that time. Just suffice it to say that we hadn’t seen each other for over 5 years. She cried and I cried as she hugged on my neck. My Dad was so funny. Every time we started crying her always cracked a joke so that the emotional tension would be relieved. We accomplished a lot while we were there but there is more that needs to be done. She doesn’t have a car so getting to other parts of the city are hard to get to because you have to use the expressway to get, for instance to the downtown area. I guess there is a bus system but my daughter doesn’t use it. Since she doesn’t have a car, we did errands for her. We took her to a laundromat to do her laundry. It is a challenge to get to a grocery store so we took her grocery shopping. My Dad even bought her a lovely set of curtains for her front window. My Dad is 79 years old and climbed up on a chair to put up the curtains! He is such a blessing. There wasn’t any room for both of us to spend the night. Dad went to a local motel and I slept on the couch. Daughter and I had a wonderful time enjoying our evening that we had together. I even made her a little lamb amigurumi animal. Unfortunately I didn’t take any pictures of it. 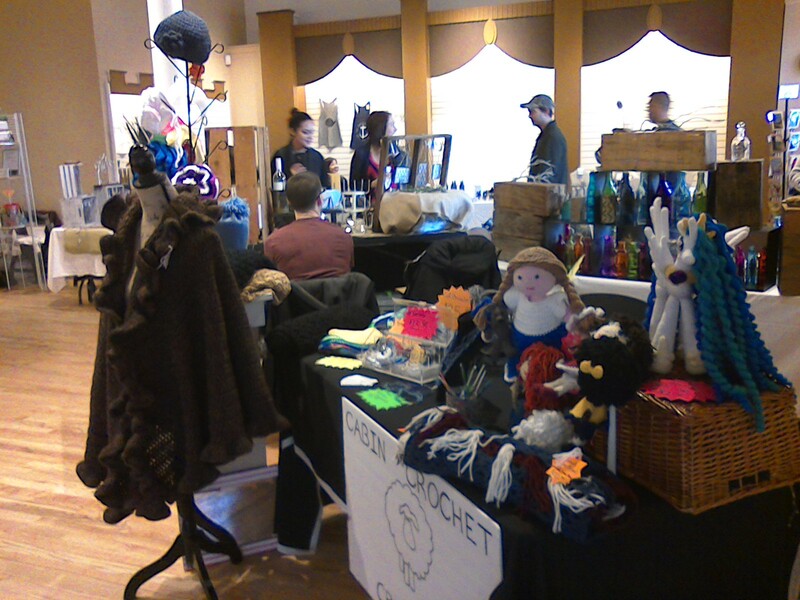 If you would like to contact me to create a custom doll or animal for you or a loved one, e-mail me at Tanya@cabincrochetcreations.com or call at 815-345-7852. This is the doll that I made for my daughter’s birthday. She also has on the “deer” hat I made her. The color of the dolls hair is exactly the color hers was before she colored her hair! May you be blessed!